Accessing the Properties of a Part or Product is pretty easy. Just right click over the Part/Product Name and select Properties. 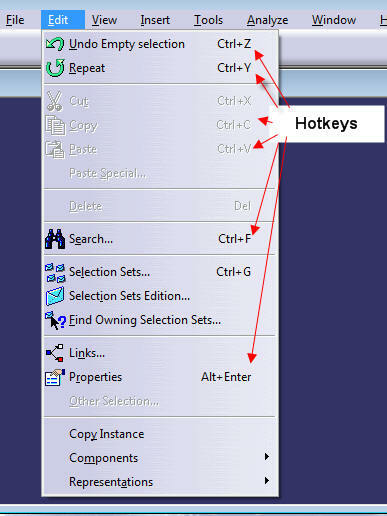 But windows has shortcuts like Copy = Control+C Paste = Control+V and Search/Find Control+F. So getting into the Properties Panel is pretty easy to. Shortcuts or Hotkeys are awesome at reducing your time for menial tasks. If you wonder what they are you can view them next to the command. Most Windows Type Shortcuts work like a charm! !